Post news Report RSS	Fizz Filler - Update 1.3! Hard mode has finally arrived, along with a few other goodies! Its been a while since the last true update to Fizz Filler but here I am again with another update, this time which some juicy new content too! The biggest addition in this update, is Hard Mode. 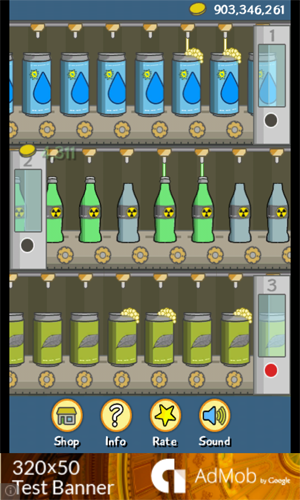 Unlike the standard game-mode you’re used to, you start with just a single conveyor and must buy the other 2 conveyors to start producing drinks from them. Is that all, you ask? No. Not only do you have to buy the next 2 conveyors, you also have to upgrade them all separately too! 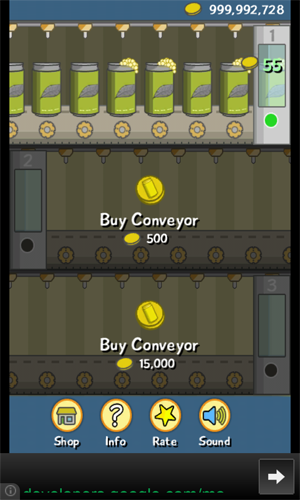 Each conveyor is now numbered, making it easier to identify which conveyor you’re upgrading in the shop. The shop page has also had a small make-over for hard mode. You’ll now see 3 tabs at the bottom, each corresponding to a conveyor. 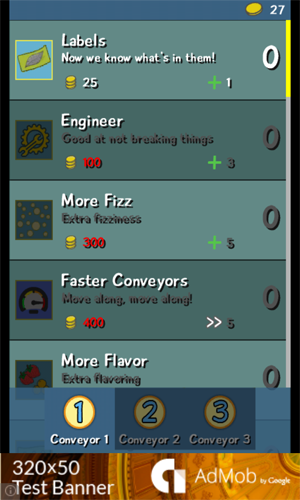 The conveyors you haven’t bought yet won’t be enabled in the shop, but once you do, you’re free to upgrade them as you would in the original game-mode. Since the first news post on here and 1.3 there has also been numerous patches and fixes to game to hopefully make it a smoother experience for all in general. If you’re interested in what was fixed or changed during this period, head over to the Fizz Filler changelog and check out the changes! If you’ve not tried Fizz Filler yet, you can grab it from the Windows Phone 8 Store, completely free of charge!